From Nevers to the shores of the Atlantic, this is a chance to appreciate the beauties of this river, its wild banks and its sandy islands; you will pass through its historic towns, Blois, Tours, Angers, Nantes, its villages and its small characteristic ports; you will marvel at its medieval and Renaissance fortresses and castles, Sully, Meung, Ussé, Chinon; you will see all the colours in its wonderful gardens, Chaumont, Villandry; you will walk at the foot of its famous hillside vineyards, Sancerre, Saumur, Cheverny, Savennières. 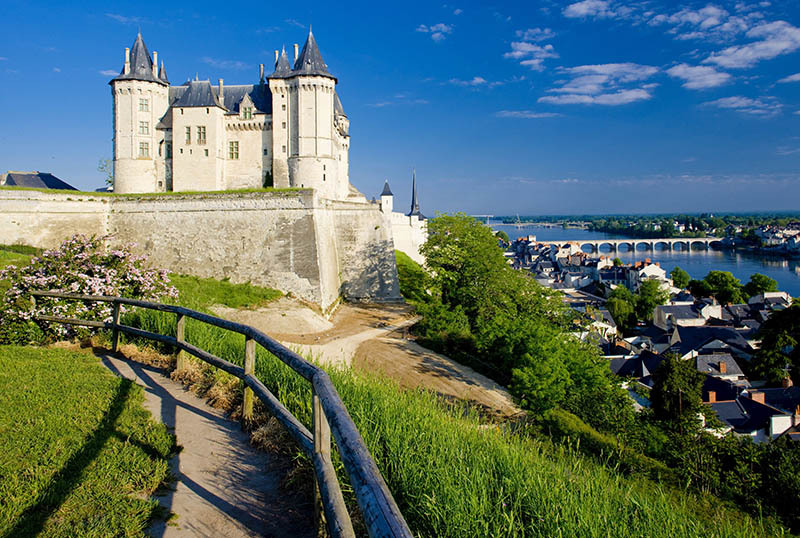 A substantial part of the Loire is a UNESCO World Heritage Site, it is the “Valley of Kings”, it is the “garden of France”. 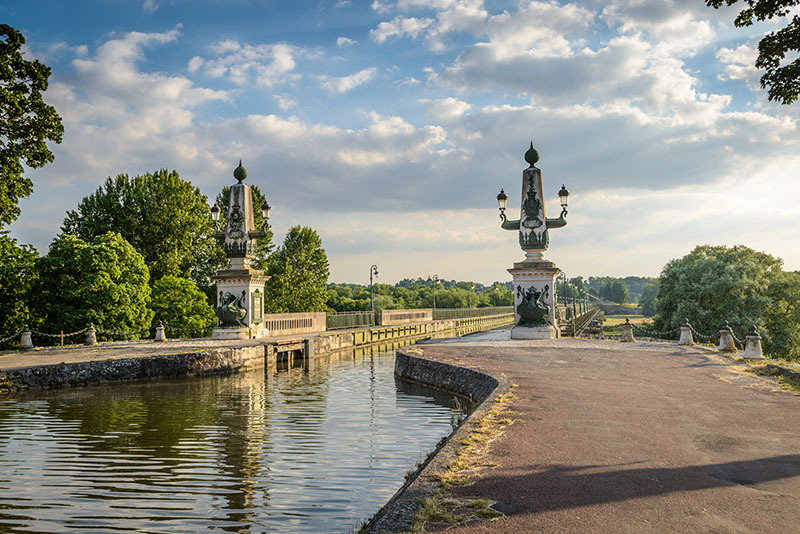 Once you’ve had a chance to admire the Palais Ducal, the St-Cyr Cathedral and the Porte du Croux in Nevers, you can cross the Loire to join the cycle track of the Canal Latéral à la Loire. Shortly after the pretty, 15th century Château du Marais, you cross back over the Loire to Cuffy via the Guetin Canal Bridge. Turn off to visit La Charité-sur-Loire and the beautiful Notre-Dame Priory Church. All that remains now is to head for the peace of the Val de Loire Nature Reserve as far as Pouilly-sur-Loire. With Pouilly-sur-Loire, Sancerre and nearby Chavignol, you are now in a region of wine making and gastonomic temptation! Fancy a little tasting along the way? Near Cosne-sur-Loire you will catch sight of the almost completely unaltered Château de Buranlure (14th century). You should now cross the Loire once again at the Mantelot lock, a pretty waterway (9,000 boats per annum) prior to the commissioning of the Briare canal aqueduct, built by Eiffel and one of the biggest in the world (662m). After crossing the canal aqueduct (cycles permitted), you will arrive in St-Brisson-sur-Loire. Stop off at the chateau, your first chateau of the Loire. If you’re with children, there are plenty of fun activities to be had. Next up, is the world famous faïencerie (pottery museum) in Gien that will grab your attention, as will the chateau that dominates the city: completely restored, it also houses a hunting museum. 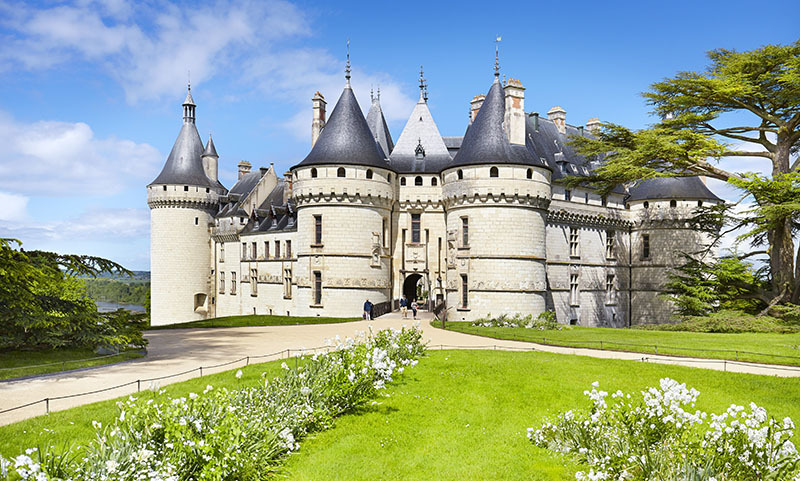 Finally, upon your arrival in Sully-sur-Loire, you can explore its renaissance jewel chateau. Today, the meanders of the Loire take you to St-Benoît-sur-Loire: the Abbey de Fleury and its magnificent Romanesque basilica are a delight. As is, further along in Germigny-des-Prés, the 9th century Carolingian oratory: there are few remaining churches from this time in France. Its exceptional mosaic was created in 806 and was so well concealed by whitewash that it was only discovered by chance in the nineteenth century. A short pedal alongside the river and you’re in Orleans. Does a visit of Orleans seems a little too …. urban? 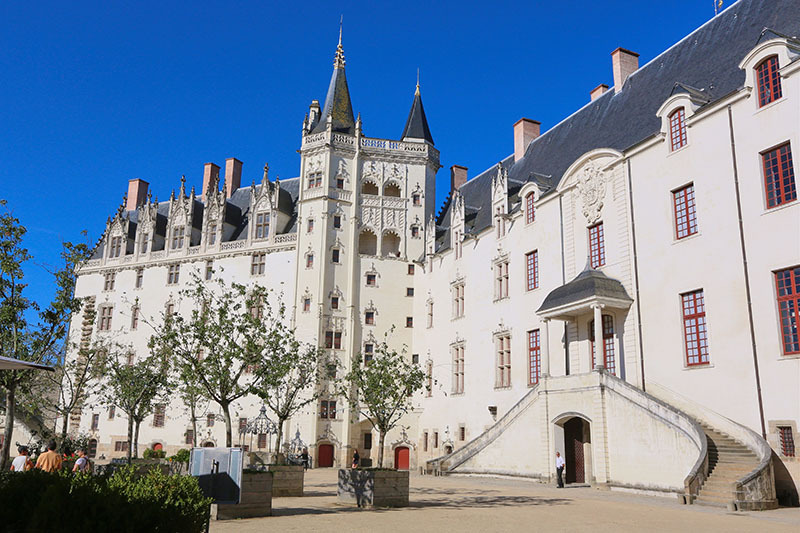 Then don’t hesitate to jump on your bike in the direction of Meung-sur-Loire: the chateau offers a noticeable contrast between the austere facade of a medieval fortress and the garden side of its delightful eighteenth century house. Next, go and explore the medieval centre of Beaugency, with its old houses and Caesar Tower. In Ménars, you can enjoy the beautiful view of the classical façade of the 17th century chateau. Finally, in Blois, the chateau bears its royal name proudly! 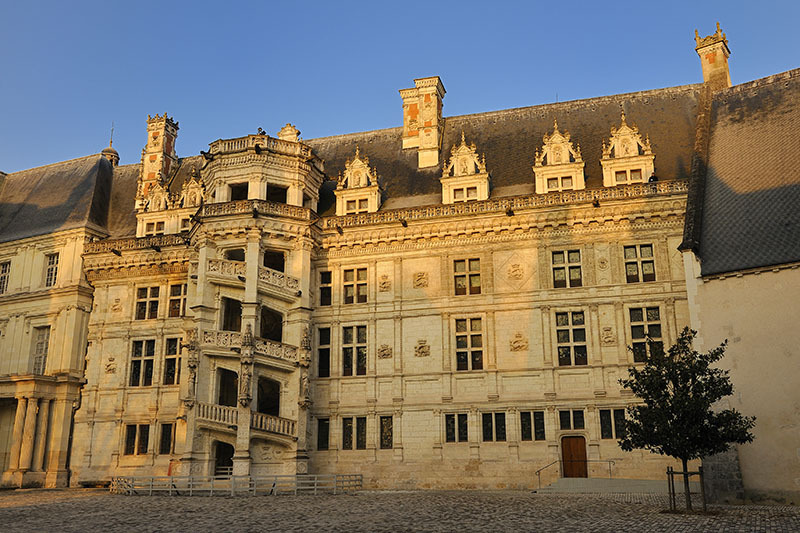 MyTripTailor advice: Immerse yourself in the thrilling history of the royal chateau of Blois and its grandiose architecture. During season, an exceptional sound and light show takes place each evening. Standing only, no prior booking available, tickets can be combined with other sites in the town. With a small deviation from the river, you can explore the inland domain and hillside vineyards of Candé-sur-Beuvron on the edge of the Cheverny AOC. 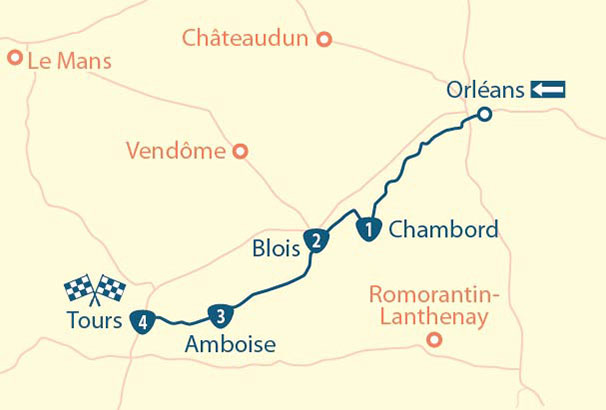 You’ll find the Loire shortly before the Chaumont-sur-Loire domain. 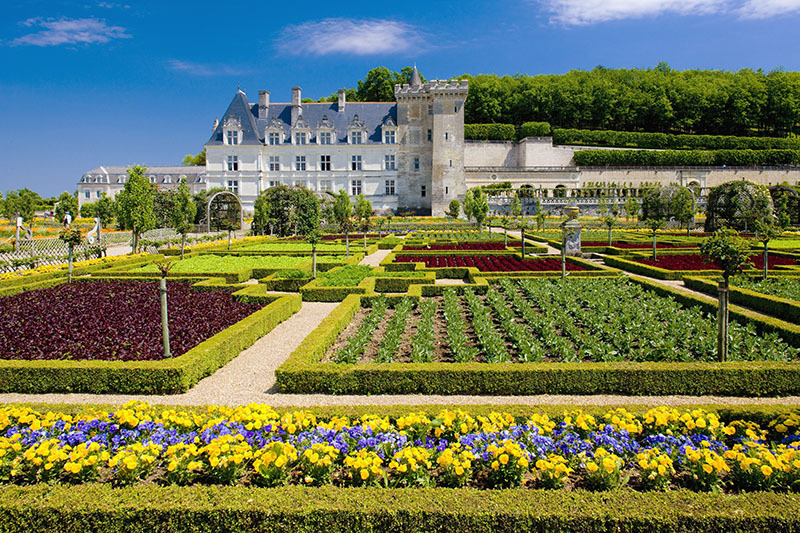 The chateau is superb but, even more so, are the grounds that host an annual Garden Festival. 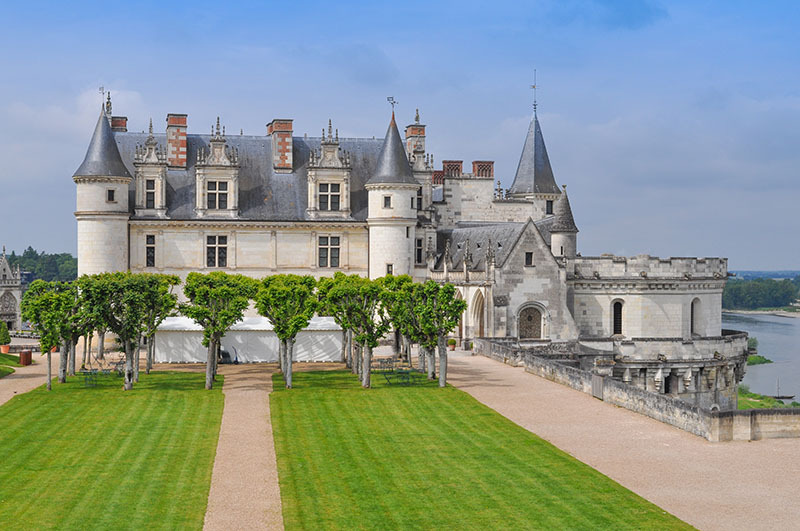 Amboise will round off this beautiful day: enjoy exploring its royal chateau and the nearby Clos Lucé, once the residence of Leonardo da Vinci, as well as Château-Gaillard which had disappeared under thick vegetation over four centuries! When you leave Tours, follow the Cher to its confluence with the Loire to reach Villandry. You can admire the château with its three main buildings that surround the main courtyard and dominate the river. The beautiful gardens, filled with bright colours and hedges trimmed to perfection, are even more amazing. 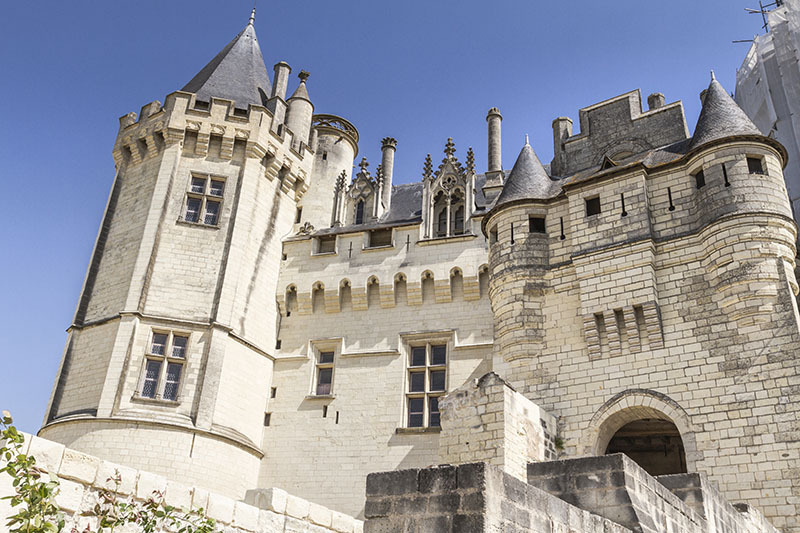 Shortly after Ussé and its fairy tale chateau, you will arrive in Chinon, on the banks of the Vienne, by the upper town and its impressive royal fortress. Don’t forget the medieval low town either! MyTripTailor tip: If you’re feeling the need for some time ‘on your feet’, end your visit in Villandry with a walk in the woods. The path overlooks the village and gardens and the views are magnificent and very different. Another short stage provides an opportunity to visit the important heritage of Saumur. Get there in good time but don’t miss out on the exceptional panoramic views at the confluence of the Vienne and Loire in Candes-St-Martin. 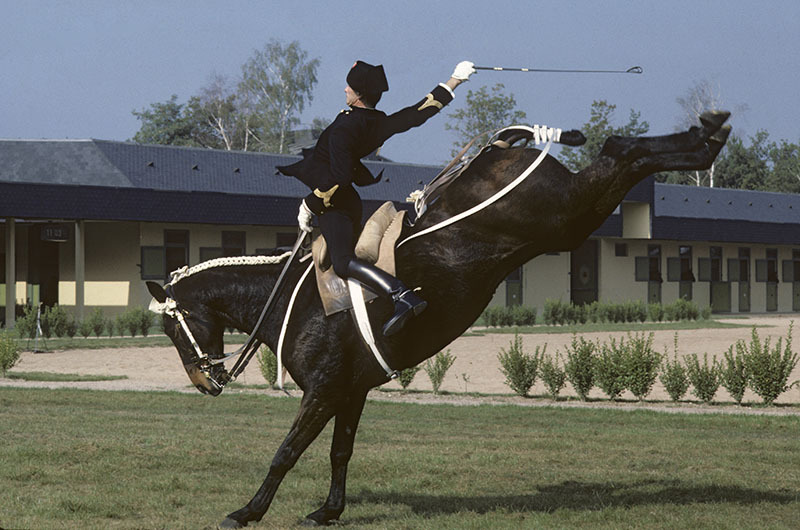 In Saumur, the Chateau des Ducs d’Anjou and its old quarter, the Cadre Noir and its tradition of horse riding, the Cavalry and Armoury Museums are all fascinating. Unless you prefer to devote your time to the region’s oenological know-how: in which case, large cellars await your visit and tastings. 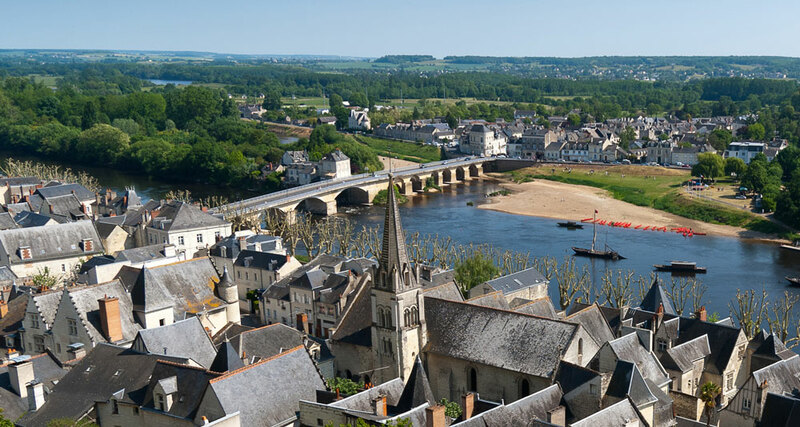 Today, you can make regular stops along the Loire at charming little ports, wineries, keeps, troglodyte houses, dolmens and champignonnières (mushroom farms), pretty Romanesque churches (Chênehutte, Trèves, Cunault, Gennes). Then, from the right bank, you can cross the Authion on the bac a bras (a tiny ferry) before arriving at Trélazé, an area of slate quarries with an interesting museum. 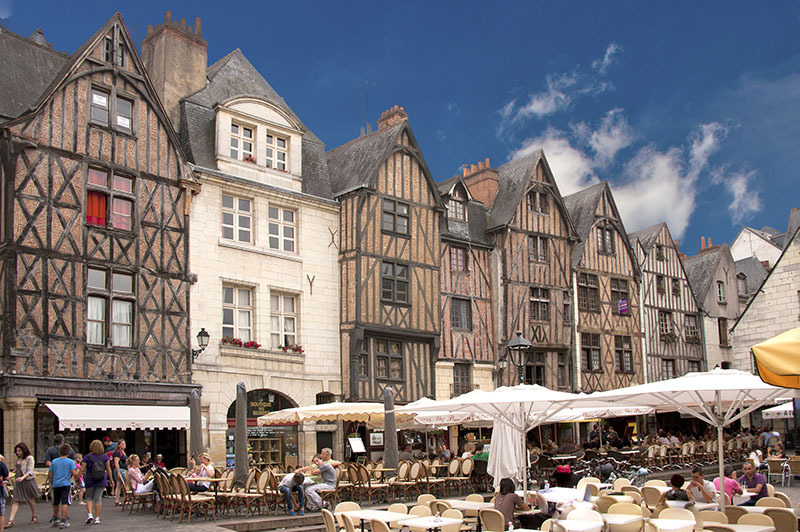 Finally, you will arrive in Angers: the historical centre, fortress, Apocalypse tapestry (14th century, 140m long) will be your points of interest. 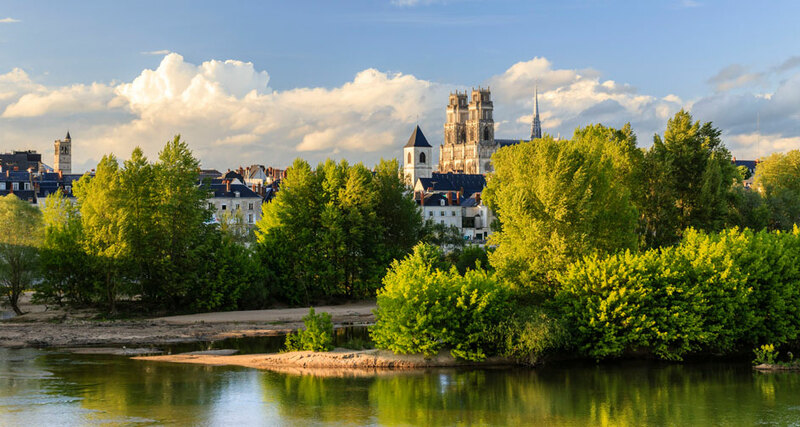 After Bouchemaine and La Pointe, a very pretty confluence of the Maine and the Loire angevine, you are in Savennières, AOC, renowned for its dry white wine. Opposite, is lle Béhuard: with its charming restored village that is sure to please. You can then ride along lle de Chalonnes before arriving at Montjean-sur-Loire: climb to the top of the village, the views are incredible. Next, its St-Florent-le-Vieil, which can be seen from distance and offers a stop-off point steeped in history (the wars of Vendée) before Ancenis. 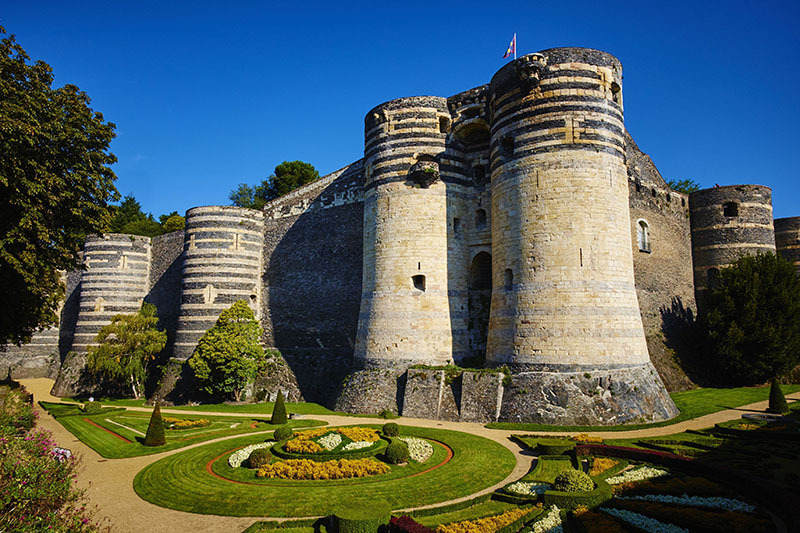 After Oudon and its beautiful medieval keep, and Champtoceaux with its magnificent view of the Loire, this half-stage will take you to Nantes. You won’t have time to see everything. Prioritise the Château des Ducs de Bretagne, a formidable fortress with 7 towers connected by curtain walls (pretty views), the nearby medieval quarter of Bouffay, with its beautiful half-timbered houses, the Gothic St-Pierre-et- St-Paul, cathedral with its imposing and austere facade and peaceful interior, and the luxurious Ile Feydeau. MyTripTailor advice: change your thinking, forget the heritage, the visits and the Loire, and take your family, children or friends to the Machines de l’Île: both exhibition and theme park, it’s original, fantastic and fun! Your final stage will be enlivened by the Parcours Estuaire, an open-air museum, presenting amazing works spread across both banks as far as the mouth of the river. On the south bank, there are seven. Over the miles, in an increasingly maritime atmosphere, be prepared for further surprises: in Bouguenais, the Chateau de Pé, in La Martinière, in Paimboeuf, as well as a charming little port at the end of your trek, facing out to the Atlantic at Pointe de Mindin in St-Brévin-Les-Pins. 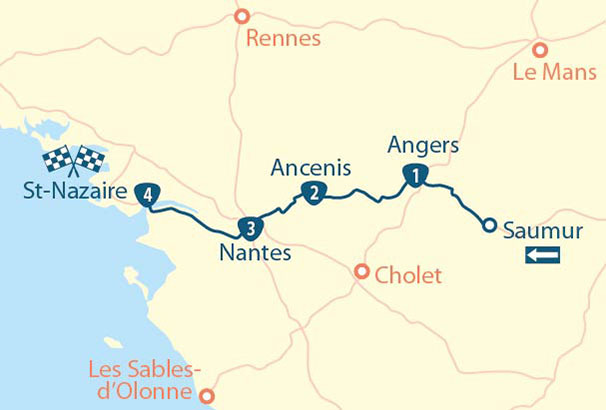 Descent of the Loire by bike, from Nevers to Saint-Nazaire – a cyclo tour with stages, offered by MyTripTailor, the specialist in self-guided trips. Customize the stages of your tour and choose your accommodation, services and activities, there and then and in one go!